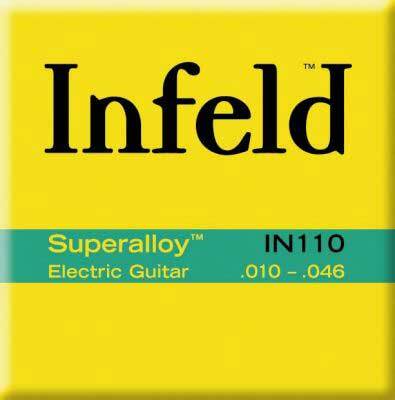 INFELD guitar strings with superalloy wrap wire deliver bright. cutting tone; and they measurably produce more power than other strings. And higher gain means a better signal-to-noise ratio. INFELD guitar strings are also perfect for heavy effects users. or for long signal paths where dropoff could be a problem.